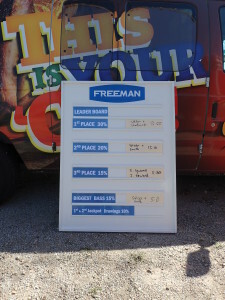 This weekend marked the 36th annual Freeman Products Bass Tournament at Table Rock Lake, MO. 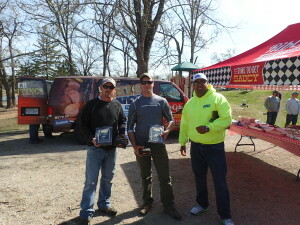 We had another fantastic turnout and enjoyed laughs and fishing with our friends (customers). Although it was a chilly start to the day at only around 35 F it didn’t stop the enthusiasm of our 51 teams who got out on-time at 7 a.m.. As the day progressed the wind died down and the temperatures warmed up which was some consolation to the teams that didn’t manage to land any keepers. At 3 p.m. all boats were back in and the weigh-in was in full swing. 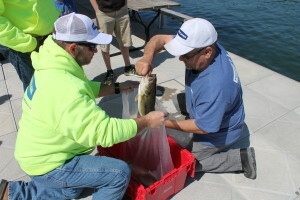 The individual fish weights and total catches were low with most people not exceeding 3.5 to 4.0 lbs for their biggest bass and around 10 lbs for the total catch weight. 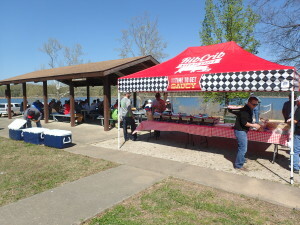 After the weigh-in it was across to the pavilion for Rib Crib BBQ and the prize giving. Thanks to all who attended. We look forward to seeing you again next year! 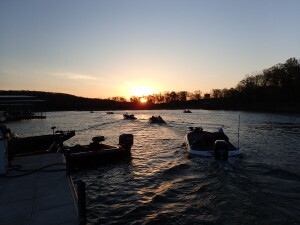 The first boats go out with the rising sun.